Seems like 2018 is going to leave us with a wave of premium laptop ranges. The stylish Surface Pro 6 and the leather-wrapped Spectre Folio and even the Alienwares were up to take the challenge this time in building the thinnest all-rounder PC ever. Well, the year still hasn’t ended and there’s more to come. 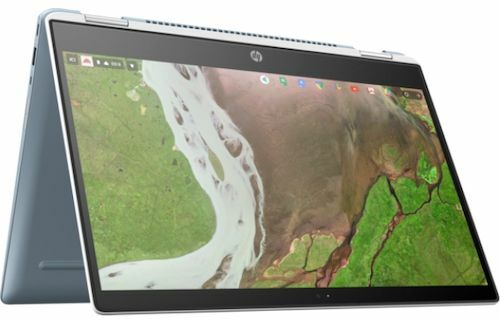 Turns out that HP has come up with a sleek design for their Chromebooks as well. Just yesterday, HP has released a trendy upgrade of their Chromebook x2; the Chromebook x360 14. I have to say that the by looking at the specifications and architecture of the machine, it is directed towards more advanced users. While lacking the accessibility of a detachable keyboard like its sibling Chromebook x2, the Chromebook x360 14 packs the powerful 8th Gen Intel Core i3 or i5 processor. Not to mention the Advanced Electrodeposition (AED) body to give the chassis a matte ceramic finish along with durability and beauty. The ’14’ apparently denotes the 14-inch display which is a 16:9 1920×1080 IPS panel with pretty slim bezels. Complimenting the laptop’s overall appearance. The keyboard – although not detachable, is fully backlit and the battery can last up to 13.5 hours of on a single charge. The device fashions two USB-C ports and a couple of USB-A ports too. The microSD slot and a headphone jack on the side, it also comes with an “HD Wide Vision” webcam. Moreover, the Chromebook x360 14 hosts an 8GB DDR4-2400 SDRAM with a 64GB eMMC storage. But it’s still a question whether these more than impressive specs be able to cover up the hole left by the absence of a pen in this device. Another stance that HP is trying to make with the Chromebook x360 14 is that it’s a luxury device. Comparatively to the Chromebook x360 11 that was aimed more towards students. 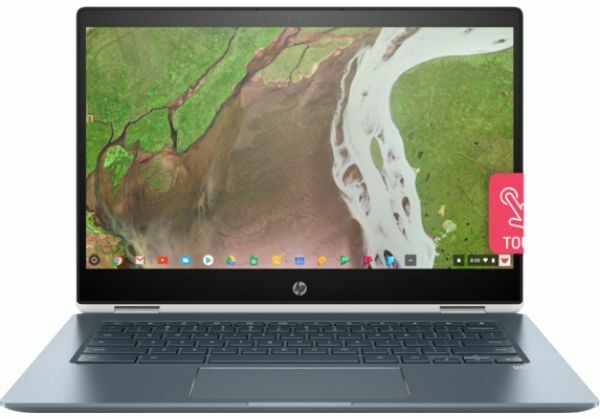 The Chromebook x360 15 is up for pre-orders now on HP’s website and will be available in stores from October 21. The device will cost you a total damage of $600. Seems like a fair price for a device that sits amongst the Elite notebooks in terms of specs, looks, and durability.